It works with projects using: Babel, TypeScript, Node, React, Angular, Vue and more! Make tests which keep track of large objects with ease. Snapshots live either alongside your tests, or embedded inline. Tests are parallelized by running them in their own processes to maximize performance. From it to expect - Jest has the entire toolkit in one place. Well documented, well maintained, well good. By ensuring your tests have unique global state, Jest can reliably run tests in parallel. 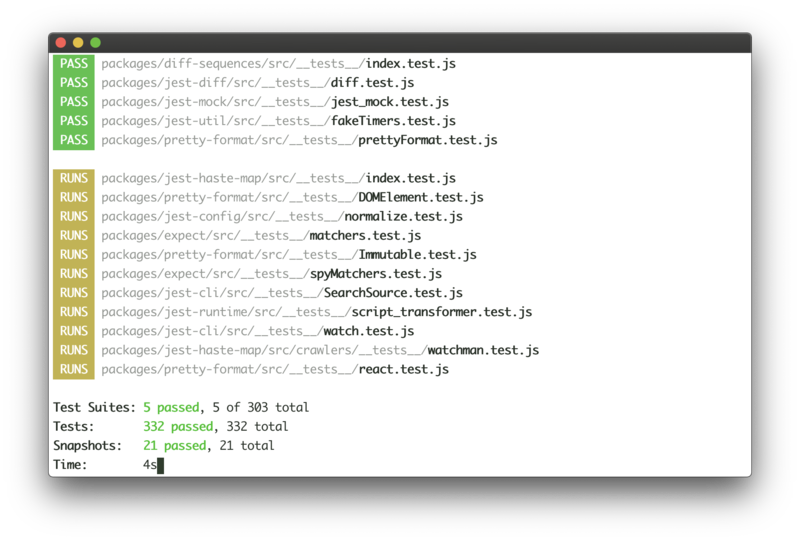 To make things quick, Jest runs previously failed tests first and re-organizes runs based on how long test files take. Generate code coverage by adding the flag --coverage. No additional setup needed. 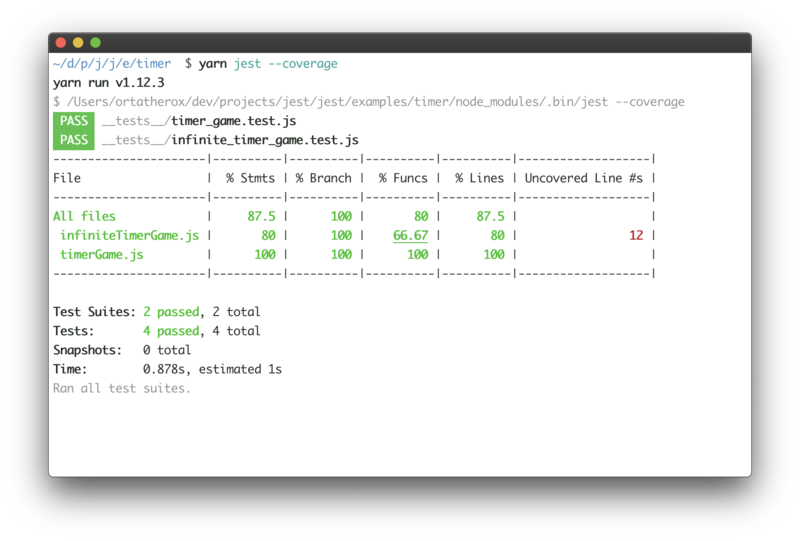 Jest can collect code coverage information from entire projects, including untested files. Jest uses a custom resolver for imports in your tests making it simple to mock any object outside of your test’s scope. 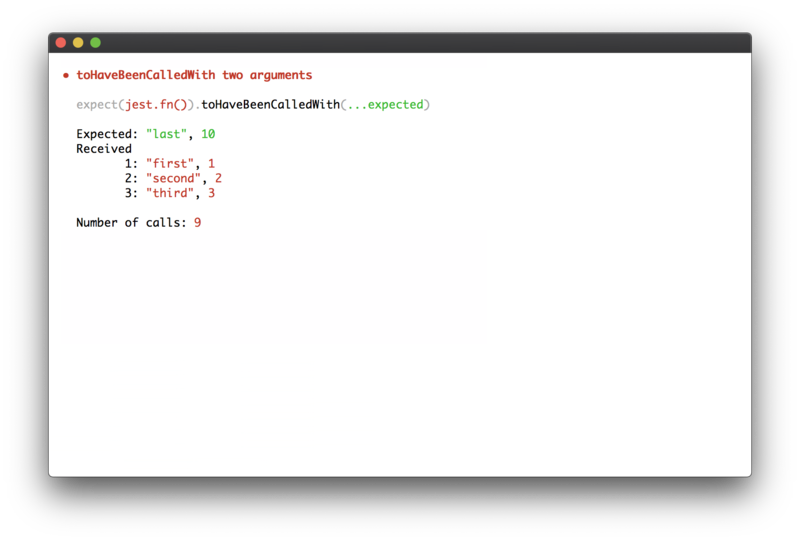 You can use mocked imports with the rich Mock Functions API to spy on function calls with readable test syntax. Jest is well-documented, requires little configuration and can be extended to match your requirements. With so many users, the core team of Jest uses an Open Collective for non-Facebook contributors.